The picture is taken on The Dale facing towards Eyam. 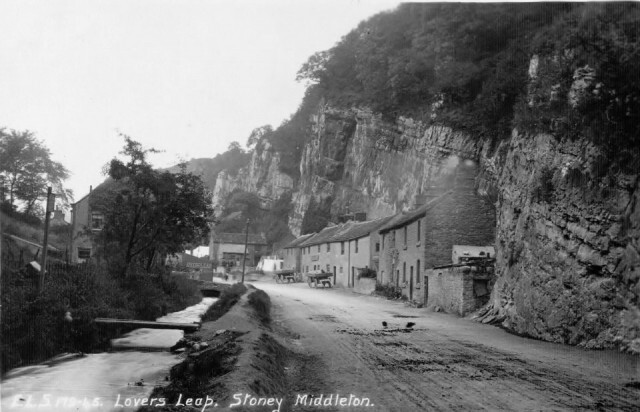 It shows the Lovers Leap Inn in the centre when it was still a public house. Today there is a house immediately after on the right which wasn’t there at that time. The pub and the cottages in the foreground have changed very little. The road is unfinished but seems to have plenty of manure, perhaps an indication of how many horses were using The Dale. There is no pavement or defined channel for the river as there is today.